I’ve blogged before about ‘Why Sage One and the National Enterprise Network (NEN) are a perfect fit‘, so it’s with great pleasure that I can talk about our sponsorship of the ‘Future of Enterprise Support’ award which will be presented at their annual conference in London on 15th November. We see our cloud-based Sage One service as the future of business accounts and payroll, demonstrating Sage’s ongoing commitment to innovation and providing our customers with more flexible and convenient ways to manage and run their business. It’s for this reason that we’re excited to sponsor the award which will recognise the most innovative practises in the world of enterprise support. In light of the ever changing and challenging enterprise support landscape, this award seeks to recognise a member that has clearly shown adaptation to its marketplace. Members are encouraged to demonstrate examples as to how they have been innovative in their approaches to make their organisation successful and sustainable despite any difficulties they face in the current climate. 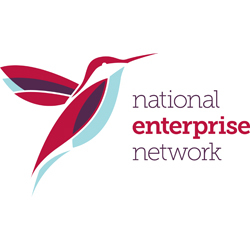 This award will recognise exceptional innovation across the whole of an organisation from within the National Enterprise Network. We are accepting submissions in two categories for this award, from those turning over up to £999,999 and from those who turnover over more than £1,000,000 per annum. The deadline for entries to ‘The Future of Enterprise Support Award’ and others is 5pm on Friday 6th September. Find out more and download the entry form here.